Win and retain advertisers with the power of Alphonso Insights For Local TV Broadcasters. 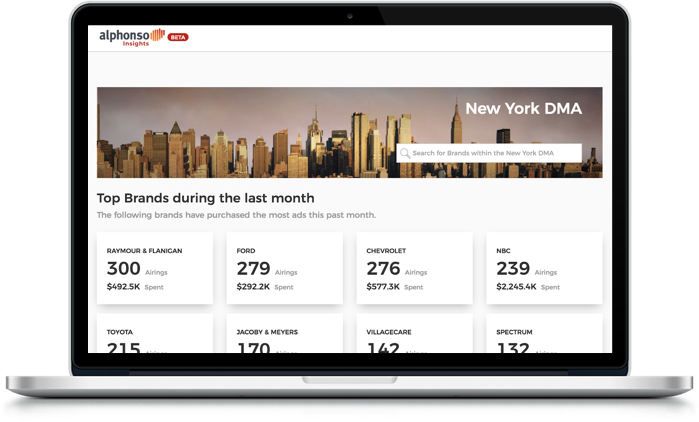 A comprehensive, self-serve TV data platform that provides digital-quality metrics for Local TV ad creatives and data-driven, actionable insights to local broadcast networks. 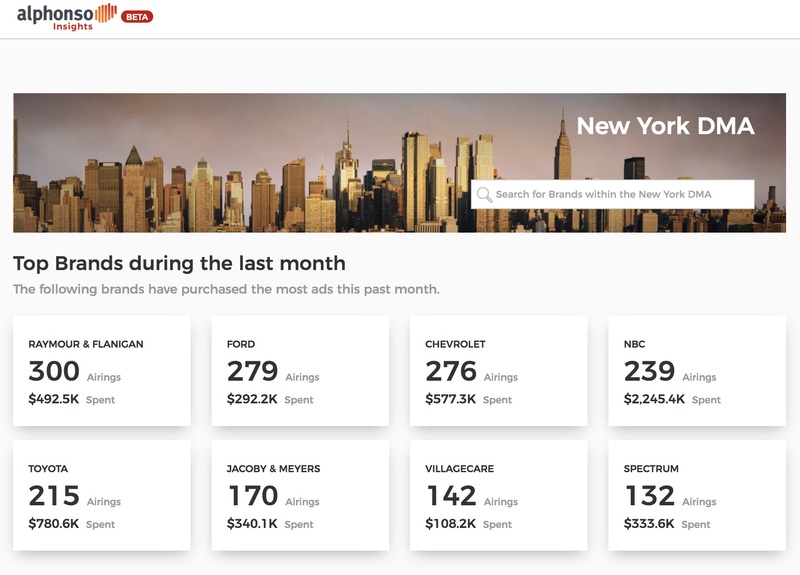 A dashboard at the fingertips of your sales force with timely data that includes competitive spend analysis for brands on other local broadcasters. An easy tool for local station sales managers to show that the advertising they sell is driving conversions, foot traffic and sales. Up-to-date local advertising data: no waiting days, weeks, or months for verification. Massive-scale data at a granular level, for cross-platform measurement across TV, OTT, and digital exposure. With the industry’s largest footprint in TV viewership data – coming from one in four US households – you’ll have timely, accurate proof points that local broadcast advertising works. Knowledge is Power. Give Your Sales Force the Data They Need. 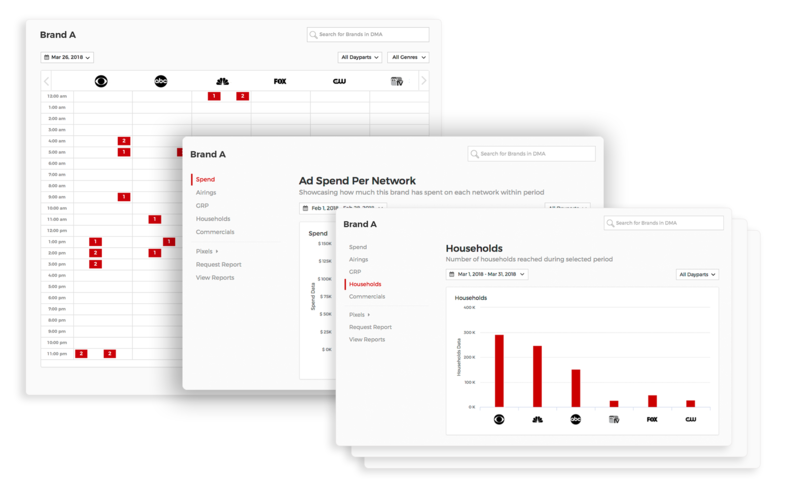 Search and view spend, airings schedule, GRP, and households. Download customized clients reports that connect the dots between local TV ad exposures and both online and offline traffic and sales.